Premium park bench seating from the Wilmington Collection, a sophisticated accent for spaces ranging from indoor lobbies or hallways to outdoor parks or plazas. 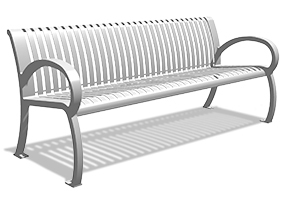 These park benches are designed with broad high arching armrests, which show-off the precision line detailing of the cast aluminum frame. Engineered ready for a wide variety of applications, the footings are designed for both portable and surface mount installations. 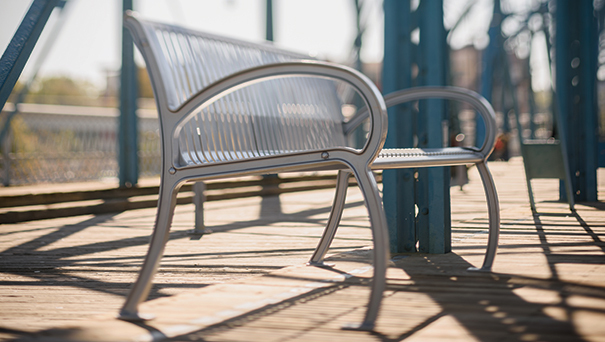 The combination aluminum frame with MIG welded, commercial grade steel seat assembly all finished with a durable powder-coated, These 4', 6' and 8' Wilmington Collection park benches are built to offer comfortable, reliable seating that everyone can enjoy.